The following disappointing statistic applies to gastroenterologists and other doctors: According to the Institute of Public Health at the University of Cambridge, on average, it takes 17 years for science to make its way into clinical practice. This unfortunate fact is not good news for those of us with chronic illnesses, including digestive disorders, for which mainstream medicine can typically only manage symptoms or slow down disease progression. Cutting-edge medicine is making breakthroughs in reversing some chronic illnesses, including digestive disorders, and most doctors don't even know about it. Or if they have somehow managed to hear anything about such breakthroughs, it seems they choose to ignore them. 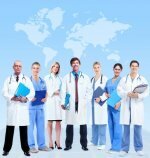 Unless you are blessed with the opportunity to work with an integrative medicine gastroenterologist or functional medicine practitioner, don't expect your gastroenterologist to know much about increased intestinal permeability (also known as leaky gut syndrome) or its role in the development of autoimmune disease. But you will find information on leaky gut if you search the well-respected US government's medical database PubMed. Search on the term “leaky gut” and see what you find. Also don't expect your gastroenterologist to know much about gut dysbiosis (except perhaps for a dangerous bacterial infection called C. difficile). Do a PubMed search on “gut dysbiosis” and see what you find. If you have a leaky gut and gut dysbiosis, more than likely, you will need help from an integrative gastroenterologist or a functional medicine practitioner to help you overcome them. At my first appointment with my third gastroenterologist, I came prepared with lots of hope and a stack of test results. Smiling, I told him about what I was looking for from him: I wanted help with healing my gut dysbiosis and leaky gut. I had stool test and food sensitivity results, among other results, in hand. I had photos of strange things I saw in the toilet, and no, it wasn't undigested food. He sat there quietly as I spoke animatedly about my goals for my digestive health. When I finished speaking, he started up. "That's not what I do," he said. "These matters are not part of the standard of care for gastroenterologists. Maybe in 30 years, after researchers have come to solid conclusions about whether these are real disorders, and they have peer-reviewed research demonstrating effective treatments, I'm going to keep doing what I do." And what does he do? Scope patients. 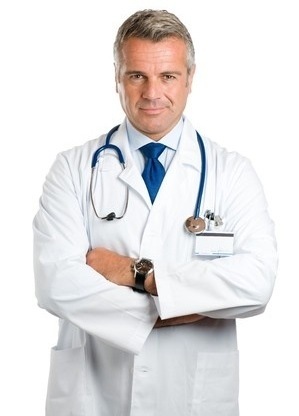 Sure, he diagnoses inflammatory bowel diseases and other digestive disorders, which is very important. He recommends medications to treat them, but they often have terrible side effects. He knows little to nothing about nutrition and probiotics, and obviously little to nothing about gut dysbiosis and leaky gut. So for him, it will take longer than 17 years for science to make its way into his clinical practice. Give him 30 years, and then he'll change what he does for his patients. Dr. Gerard Mullin is the doctor of my dreams: an integrative gastroenterologist who is board-certified in internal medicine, gastroenterology, and nutrition. What a combination! He is an associate professor in the department of medicine as well as director of Integrative Gastroenterology Nutrition Services and director of Capsule Endoscopy at The Johns Hopkins Hospital. Dr. Mullin is also the author of Integrative Gastroenterology, The Inside Tract: Your Good Gut Guide to Great Digestive Health, and The Gut Balance Revolution: Boost Your Metabolism, Restore Your Inner Ecology, and Lose the Weight for Good!. Clearly, Dr. Mullin is a pioneer in integrative gastroenterology. I hope many gastroenterologists follow in his footsteps.